Purchasing a mobile device management (MDM) solution is a big decision for any school or organization. And before the selection is made, it’s common to conduct an MDM comparison. You might begin the MDM comparison process by searching for a list of tools and their capabilities in an attempt to narrow your list down to the best MDM solutions. Your search, for better or worse, appears to show that many solutions kind of do similar things. 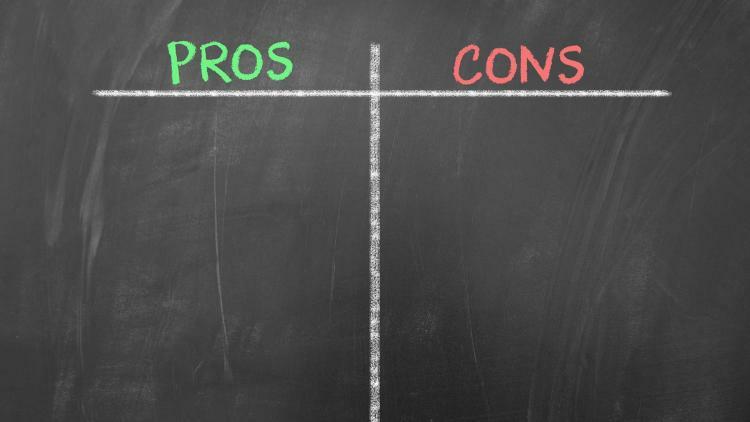 So, be it cost or a charming sales rep, you make a decision and purchase. And why wouldn’t you? The provider you went with touted their product as one of the top MDM solutions on the market. That’s usually not how it works in the ever-evolving world of technology. According to Gartner’s 2015 Data Center Conference, 60 percent of organizations that have an MDM tool in place are not satisfied and looking to leave their current management provider. And the MDM comparison carousel continues. Or maybe you understood where your current solution fell short, but at the time, it was good enough. Needs change and it’s OK to want something better, dare I say the best MDM solution available. I get it. You’ve probably heard that before. But before you completely tune me out, do your own MDM comparison. You’ll be hard-pressed to find another vendor that boasts a 93 percent customer retention rate. Yes, where 60 percent of MDM owners are looking to move on, 93 percent of Jamf customers renew their contracts every year. Aside from the usual suspects of deployment, inventory, security, and device and app management capabilities — which we do really well by the way — Jamf sets itself apart from other “top” MDM solutions in several areas. No other vendor can say they support Apple — and only Apple — as soon as (or before) new operating systems and features become available. This means IT workflows are never interrupted and users can be their most productive selves using the latest and greatest from Apple. All customers receive a dedicated Jamf “pro” who understands their environment and needs to a level unmatched by any other customer service model. We stake our reputation on it. Enjoy an automated way to combat security vulnerabilities. Software alerts come to you so you can package and deploy patches to the appropriate devices immediately. Place all the apps, resources and tools your users need in one central location. All they have to do is retrieve and download when they need them. When you don’t want to turn to support, or just want to see how others are managing their Apple devices, Jamf Nation and its 44,000+ members are ready and available to lend a helping hand. We don’t throw you to the wolves as soon as the purchase order is signed. We want you to get the most out of Jamf and Apple, that’s why we help you implement your MDM tool and if questions arise, we can schedule onsite days to help troubleshoot anything that comes up. To enhance your IT skills, we offer several levels of training and development — in locations all around the world. How does our MDM compare? We’ve only scratched the surface of the management possibilities. If you’re starting to get “scroller” fatigue, now would be a good time to request your free trial of Jamf, kick the tires and tell us what you think. I’m not there yet, what else you got? If you’re not ready to jump right into a trial request because you have an existing MDM tool in place and A) don’t think it’s worth the hassle of going through a long, transition process or B) aren’t sure where to begin even if you wanted to upgrade MDMs, I have an added bonus for you. Our recent e-book shows you that switching MDM vendors doesn’t have to be overwhelming or painful. 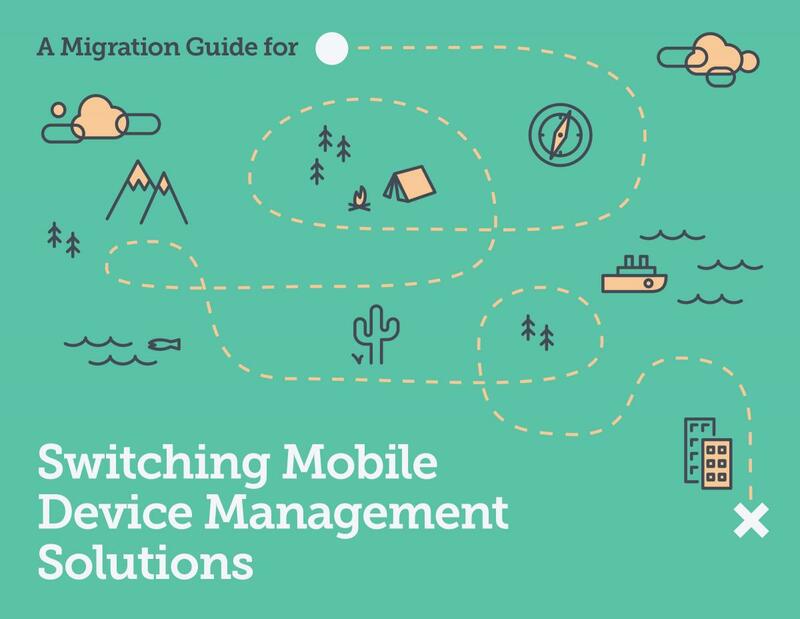 The Switching Mobile Device Management Solutions guide walks you through a migration timeline with crucial checkpoints, a step-by-step workflow to ensure transition success and provides a post-migration checklist to confirm a proper transition. Whether you’re using Apple’s Device Enrollment Program (DEP), Volume Purchase Program (VPP) and Apple School Manager, or you’re not using any of these programs, this guide shows you how to transition your Mac, iPad and iPhone devices from your lackluster solution to a truly top MDM solution. Just ask Gartner Peer Insights if you don’t believe me. If you’re a fan of the MDM carousel and want to keep hopping from one solution to the next, I won’t stand in your way. But if you’re ready to see why those who choose Jamf, stick with Jamf, give us a call, send us an email, or as always, start your trial.